"A number of years ago, my wife and I decided to purchase a second home in the Lake Tahoe area. We had vacationed there on and off through the years and fell in love with the area. 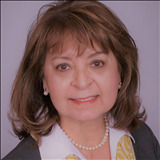 Elaine Durazo came highly recommended as a local realtor that could assist us in this journey. We found Elaine to be knowledgeable of the area, highly responsive throughout the process, and superior in supporting the needs of her clients. She worked tirelessly to find us a home and secured us the best deal. We were extremely pleased with our experience! So much so, that a number of years later we opted to sell our Tahoe home and once again reached out to Elaine. Yet another great experience in finding us qualified buyers, securing a price above our expectations, and working the deal to closure expeditiously. In conclusion, our buying and selling experiences with Elaine were ideal, and we would highly recommend her to other clients!" "Elaine, I just wanted to send you a 'thank you' note for everything that you did for me. Although the purchase of a home can be very stressful, you made the whole thing GREAT. Not only did I have the pleasure of meeting a wonderful Realtor, I feel I also made a new friend." "Thank you, Elaine! We are so lucky to have you in our lives. You are phenomenal, and we can’t thank you enough for all your hard work."